BBC Four - A Stitch in Time, Series 1, Marie Antoinette, Juliette Trey explains why Marie Antoinette's chemise portrait had to be repainted. Juliette Trey explains why Marie Antoinette's chemise portrait had to be repainted. 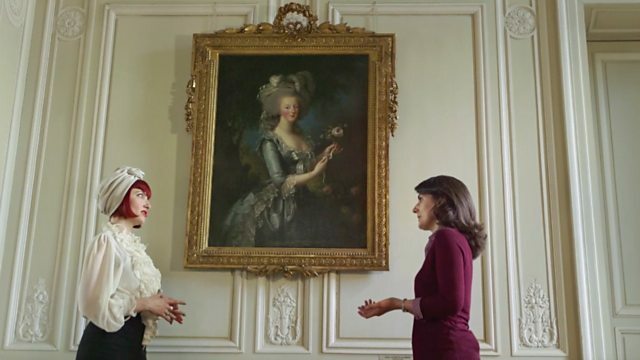 At Marie Antoinette's Versailles getaway, the Petit Trianon, historian Juliette Trey explains why her 18th century portrait in a chemise was so scandalous it had to be repainted. Ninya Mikhaila demonstrates how to get a perfectly straight line through a cloth.